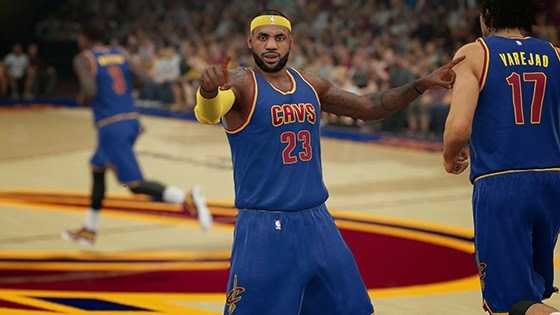 2K Sports has announced that the third patch for NBA 2K15 has been already submitted to Sony and Microsoft and expected to be rolled out within the next 10 to 14 days for PC, Xbox One and PlayStation 4. According to LD2K, the new patch is very big. It addresses the frame rate issues and timeout exploits. He also mentioned that it brings new hairstyles and some updates to face scanning. Patch #3 for #NBA2K15 has been submitted to Sony/Microsoft. Should be released within the next 10-14 days. Patch notes alongside patch. Patch #3 for #NBA2K15 is very big. Addressing a ton: including 2K cam "frame rate" issue, showing score while waiting & timeout exploit. As previously stated, the Patch #3 also brings new hairstyles to #NBA2K15 and adds a ton of gameplay tweaks including zig-zag+btb nerfs. Patch #3 is also bringing some of the latest updates to face scanning. Unfortunately, it won't make ugly people like me handsome.